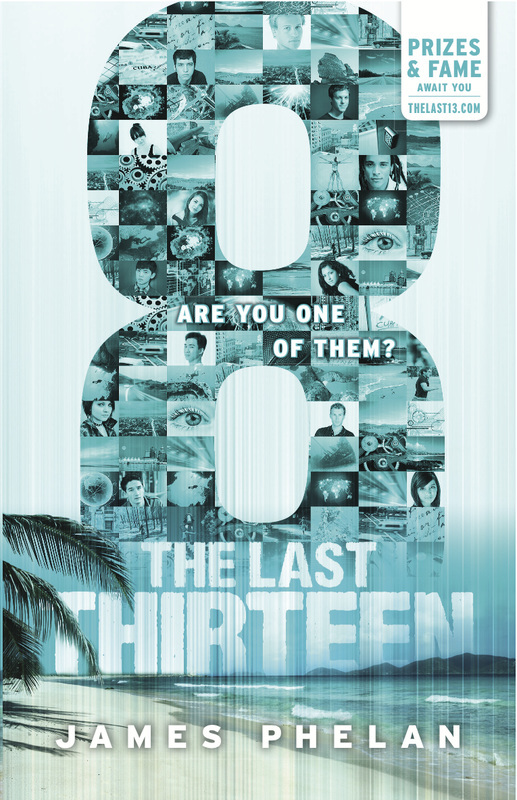 THE LAST THIRTEEN is a 13-part serialised thriller series for young readers (aimed at ages 8-15) and counts down from 13 to 1... this book, "8", is the 6th book in the series. Solaris stands facing us, his arm raised, his flame weapon pointed and ready. Sam’s nightmares become more unpredictable and even more dangerous as he seeks the next Dreamer, number 8. His search takes him to Cuba, where unknown pursuers, long-forgotten treasure and the perils of the ocean await. Meanwhile, Eva and Lora’s safety hangs in the balance, and Alex makes a terrifying discovery of his own . . . Enemies are closing in on all sides. Can Sam and his friends stay one step ahead and find the next Gear in time? Sam must find the last 13 . . . only they can save us. Sam could see the two small darts still lodged in Rapha’s back. His eyes flicked to Rapha’s face—he was unconscious, his face empty. The lush green forest that stretched out below seemed to be approaching much faster. Just got to hold on . . .
Everything went eerily silent as they tumbled through the air towards the cliff face. Preparing himself for the impact that he knew was coming, Sam tensed his legs, straining to keep his tenuous grip on Rapha’s jacket. Calculating the timing carefully as they neared the cliff, Sam pushed hard with his legs against the vertical rock wall a split-second before they would have slammed into it. The shock pulsed through his legs as he felt the glider shudder and turn sharply in the air, their trajectory changing immediately. Sam struggled and looked upwards but the thick band of cloud they had plummeted through was already concealing everything. If I can’t see them, they can’t see us either . . .
Sam’s arm seared in agony, trying to hold onto both the makeshift glider and Rapha’s dead weight. His fingers, desperately grasping the smooth metal bar above, were sweaty and slippery in the humid air of the jungle. His teeth clenched tight as he tried to keep his grip. Suddenly, a gust of wind buffeted them from the side. Sam’s fingers slid off the bar, beginning their inevitable freefall towards the imposing green below. Sam screamed, his voice echoing out over the jungle. Still clinging to the unconscious Rapha, he stretched out his free arm, and changed his Stealth Suit into the wing- suit, clearly recalling Jedi’s instructions. Their descent slowed, but with only one free arm to steer, Sam and Rapha hurtled downwards, flipping and turning erratically. ‘Argh!’ Sam held his free hand over his face as they smacked through the tops of the trees. The snapping branches and vines slowed their crash-landing, but whipped into Sam’s face over and over again. Sam landed heavily on his back and lay there silently catching his breath, staring back up into the hole they had torn through the leafy canopy above. His arm, still holding his friend, had twisted awkwardly in the rough landing. Sam could see Rapha’s chest moving with slow and even breaths, and he appeared to have survived the rough landing with nothing more than a scratch or two. Through the broken branches overhead Sam could see that their crude glider was still drifting down towards the forest floor, its landing slower and more graceful now that it was without passengers. He noticed the small dents and scratches all over its surface, no doubt from the stun darts shot by Stella as they made their getaway. A memory jolted Sam upright and he reached around to feel for his backpack. With a relieved sigh, he felt it still in place on his back, and he wriggled out of the straps and pulled it open. There, nestled safely inside, was Rapha’s Gear—the priceless piece his enemies would literally kill to get their hands on in order to get one step closer to building the Bakhu machine. Piece by piece, Gear by Gear . . . that’s five down, eight to go. his head. He looked around the jungle floor and then up at the hole their descent had punched through the trees. Sam saw Rapha’s eyebrows lift in surprise and the corners of his mouth curl up into a smirk. ‘Maybe you should stick to being the pilot?’ Sam said, following his upward gaze. Rapha’s grin spread wider, before his face suddenly changed into a confused frown. He twisted his shoulders uncomfortably, reaching one arm behind his back and pulling the two small darts out from in between his shoulder blades. He stared at Sam, questioning. Rapha rolled his eyes and threw the small darts into the jungle. ‘So what now?’ he asked Sam. They’d been hiking through the jungle for over an hour, sticking close to the river. Rapha had made sure they kept a quick pace, urging Sam on whenever he slowed for a drink. Despite the humid air feeling so wet against his skin, Sam had never been so thirsty. ‘You said that an hour ago at the clearing.’ Sam adjusted his backpack across his shoulders. ‘I thought that was another clearing,’ Rapha said, leading the way. Sam saw a winding strip of water, a tributary of the Amazon River, snaking away into the distance. There wasn’t much of anything else. ‘I use this to map areas of the jungle and follow the migrating patterns of the geese,’ Rapha said cheerfully. in the murky water and he concentrated on keeping his balance. He sat at one end and watched Rapha jump into the boat in one quick movement that barely made the boat rock. ‘First you had the speedboat, then the ultralight, now this. How come?’ Sam asked. Sam looked over to the shack standing alongside the rough jetty that serviced the local boats. ‘My parents were well-known in this community. They did a lot of work for conservation and the local villages in the area . . .’ Rapha’s voice trailed off in sadness at the thought of his parents. Sam could see the grief fill Rapha’s eyes and he looked back at the river, feeling awkward, not sure if he should try to say anything of comfort. What could I say, anyway? I’ve only made things even more dangerous for him. A small group of locals were watching from in front of the shack, as if waiting for an invitation to lend a hand. Rapha adjusted the dials and tried again. Nothing. Sam could smell petrol fumes in the air. He felt anxious sitting there, in clear view of everyone. He glanced around and wondered when Stella would catch up to them. On the third try, the engine spluttered to life, almost drowning out the cheers of their small crowd of onlookers. Rapha shot Sam a confident grin, turning to wave back to the locals before steering the boat out to begin its cruise up the river. We got Rapha’s Gear, and we got away from Hans and Stella. That’s a pretty good day’s work. Settling into the boat, Sam smiled at Rapha and leaned against his backpack, watching as the amazing jungle scenery drifted by.